Over lunch with a senior industry figure, the topic of Diversity and Inclusion came up. We both recognized that these are ‘words of the moment’ and reports such as McKinsey’s “Delivering through Diversity” in January 2018 have fanned the flame of that conversation, suggesting a link between Diversity and company financial performance. However, in the course of our conversation, we came to the conclusion that while the talk about diversity was all well and good, what really mattered was inclusion. Whether one is talking about gender, culture, age or even neurodiversity, it is inclusive practices that provide the solution for a company’s lack of diversity. Undoubtedly, the Insurance industry continues to lack diversity, particularly amongst management and leadership teams. This is largely a result of the general culture that exists and has existed for many years, across the industry. Therefore, it is for a good reason that there’s a continuing conversation around gender diversity as it affects around 50% of the workforce. We also know, according to McKinsey, that companies in the top-quartile for gender diversity on executive teams are “21% more likely to outperform on profitability, and 27% more likely to have superior value creation.” There are, therefore, clear commercial reasons to build more gender diverse Boards and leadership teams. Yet despite the compelling commercial arguments, lack of diversity remains. In our opinion, the only way to address a lack of diversity is to drive culture change. This can be achieved by building more inclusive teams. This, in turn, drives culture change, enabling innovation and more creative thinking. But how do you create a more inclusive culture? According to the ABI’s report, “Tackling the gender seniority gap”, there are a number of steps which can be taken. Firstly, firms need to make it easier for part-time or formerly part-time employees to make career advances. This can be achieved by making more senior jobs available on a part-time or job share basis, whilst also encouraging and standardising flexible working practices. Secondly, working to change ingrained behaviours that favour male characteristics and promote unconscious bias will improve the situation measurably. 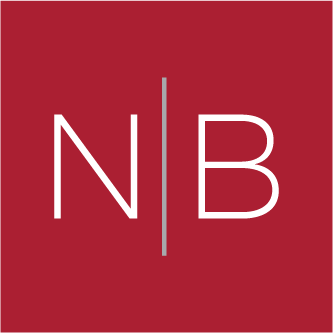 At Norman Broadbent, we’re proud of our impactful work in this space. Our proven interventions, underpinned by our Insight Practice, help clients promote a D & I agenda by identifying and attracting female talent and providing gender-specific market intelligence to support strategic decision-making. In January 2019, we will be hosting a business breakfast aimed at Insurance industry leaders and opinion formers. Here, we will discuss and share in confidence, our experiences of implementing changes to working environments which create and foster more inclusive cultures. This, in turn, supports female career progression and retention.